Membership can start at just $65 per year. 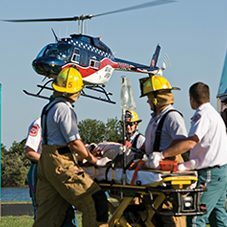 Did you know that out-of-pocket expenses for emergency air medical transport can average $18,000? That’s a financial burden most families can’t absorb. Our 3 million+ AirMedCare Network members can take comfort in the knowledge that, should they experience a medical emergency, there will be no out-of-pocket expenses if flown by an AMCN provider. Secure financial peace of mind for you and your family today with an AMCN membership. Protect your family longer—for less! If you’d like to speak with us about membership options, please call 844-632-7047. *Senior pricing is available for primary and/or secondary members 60 years and older. Note: 1-year membership in AK is $125. After becoming an AirMedCare member, you’ll have access to Teladoc—the most trusted telehealth provider in the world. This cutting-edge approach to care lets you speak with a board-certified doctor anytime, day or night, 24 hours a day, 365 days a year. Less than three months after purchasing an AirMedCare Network membership, Roger Kiesling suffered a cardiac event. Gail dialed 9-1-1 and Steelville Ambulance responded quickly. The crew pulled Roger from the truck and began treating him. They called for Air Evac Lifeteam out of Sullivan, Missouri, knowing that minutes matter when it comes to cardiac issues. Roger lost his heartbeat four different times that day. The crew transported Roger to SSM Health St. Clare Hospital in Fenton, Missouri, where he remained for nine days. Members are entitled to transport (when available) by an AirMedCare Network provider to the closest appropriate medical facility for medical conditions deemed by an attending medical professional to be life- or limb-threatening, or that could lead to permanent disability. Members also receive a welcome packet complete with auto stickers and membership cards. Members have the peace of mind knowing that they will receive no out-of-pocket expense for their flights. What is the benefit of membership to you? First, as one of more than 3 million members, AirMedCare Network Providers will work on your behalf with your benefits provider to secure payment for your flight, with any uncovered amounts considered to be fully prepaid. As such, members who are transported by AirMedCare Network will not receive a bill for the flight. Importantly, your membership is valid in all of our service areas so you are covered while traveling in those areas. 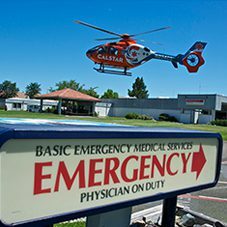 If they determine air medical transport is needed, and they dispatch one of our ambulance providers, your membership will provide coverage. In addition, becoming an AirMedCare Network member is a good way to support the health care needs of your local community. Our membership base-the largest of its kind in the United States-helps us operate in rural areas where having a quick response time to critical medical situations can save lives. How can a membership be so inexpensive and yet still be able to cover the cost of a flight? Membership fees alone are not enough to cover the cost of member transport. Those fees are prepaid protection against costs not covered by a member’s insurance, other benefits or third party responsibility. Almost all of our members have some type of insurance, benefit or third party responsibility that covers all or part of the cost of transport. Collecting enough from those sources is necessary to keep membership fees low. Of course, if there is no other source of payment for a member’s transport, the transport is covered in full by the membership.